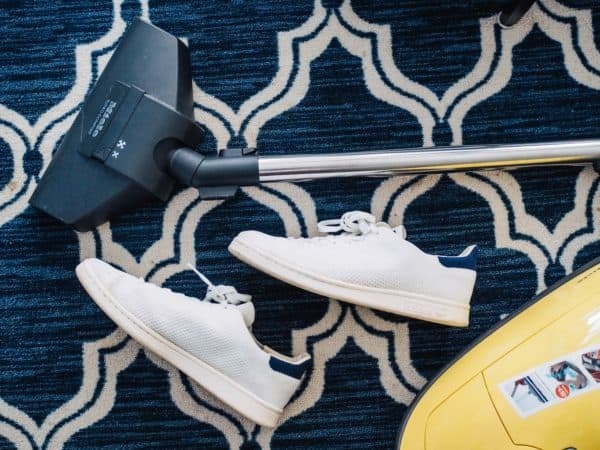 Keep your home fresh and clean with professional rug cleaning services in Durham, North Carolina. Rug cleaning preserves the color and texture of your rugs, which gives them a longer life. Pettyjohn’s Cleaning uses state-of-the-art professional cleaning equipment to get tough stains out of any fabric. Our cleaners are experienced with all types of rugs, from antique heirlooms with delicate fabrics to modern designer rugs. Oriental rugs, wool rugs, synthetics, and all other types of rugs benefit from regular cleaning. Let the centerpiece of your living room, dining room, or hallways shine. Rugs are beautiful additions to any room, but they also see a lot of foot traffic. Like all fabrics, rugs act as an air filter in your home, trapping dirt, bacteria, and allergens. This means rugs should be thoroughly cleaned on a regular basis. Decide if this is a job you can handle– There are cases where you can clean rugs yourself, including mild food messes and spills. However, antique rugs, Persian rugs, and others with elaborate designs and delicate fabrics are best left to the professionals. In these cases, call Pettyjohn immediately and talk to one of our experts. Remove debris– Dirt, dust, and other dry debris can be removed by vacuuming the rug. Prepare your rug cleaner– Many rug shampoos require mixing. Check the side of the bottle for instructions. Do a color test– Never put a cleaning solution you haven’t tested onto one of your rugs. Colors can bleed or become less vibrant when certain chemicals are used. Test your rug cleaning solution on a corner of the rug and make sure colors don’t bleed. Wash and rinse the rug– Using a soft brush or sponge, work the shampoo into a lather on the rug. Let it sit for a few minutes before rinsing. Let your rug dry– Remove excess water with a sponge or wet-dry vacuum. Let the rug lay flat to dry, turning it over to allow the underside to dry. You can use fans to help speed up the process. Sometimes consumer-grade cleaners won’t cut it. Pettyjohn’s services remove dirt from deep down in rug fabrics. Rugs that are delicate, old, or haven’t been cleaned in a while are all jobs for a professional. You don’t want to risk damaging a prized possession by not taking care of it. How often should I clean an area rug? It is important to clean rugs on a regular basis. Spot cleaning should be conducted on a daily basis, or whenever you see a spot on the rug. You should also vacuum rugs at least once a week. If you have pets, smoke, or the rug is in a high-traffic area, however, you should vacuum up to 7 times a week. Professional rug cleaners should clean all your area rugs at least once a year. If you have respiratory problems, severe allergies, or a large family, rugs should be cleaned between two and four times a year. In between cleanings, rotate rugs every 6 months to spread out wear and tear and preserve colors. Durham, North Carolina is one of the best places to live, work, and play in the United States. The city is part of the Research Triangle Region, known for cutting-edge tech companies and scholarly institutions like Duke University. Durham is a center of culture, art, food, and rich history. Durham is home to the Carolina Theatre and hosts annual events including the Bull Durham Blues Festival and the Full Frame Documentary Film Festival.